Beyond Salmon: What if you hate to cook? What if you hate to cook? An article caught my eye in the New York times written by Virginia Heffernan -- a Mom who hates to cook. 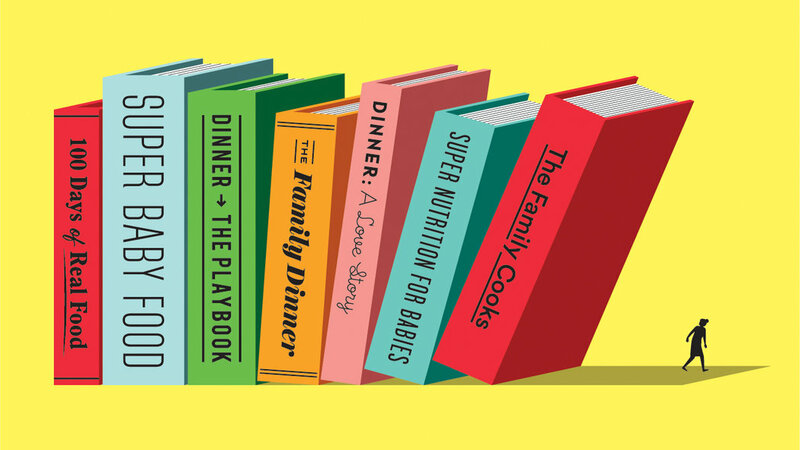 She was lamenting today's obsession with feeding your children "real" food, the importance of family dinners, making your own yogurt, only buying organic ingredients, and other culinary antics promoted by the latest avalanche of family-oriented cookbooks. I feel her pain. Surprised? Sure, I love to cook, but not everyone does. The guilt trip parents are put through these days for all their shortcomings -- this includes their culinary inadequacy -- drives me nuts. Here is a quote from Ruth Reichl “I don’t think there is ONE THING MORE IMPORTANT you can do FOR YOUR KIDS THAN HAVE FAMILY DINNER,” the caps are Reichl's, not Heffernan's. If that's the case, my kids are in serious trouble. I am a culinary instructor and our family sits down to a family meal only 3 times a week. I wonder how many times Reichl sat down to a family meal while she was a restaurant critic. Here is what happens most of the nights in our house. My husband works late three nights a week, so the kids have dinner in the kitchen with me while I am doing some cooking project or tidying up the kitchen. I am teaching a cooking class the other two nights a week, and the kids have dinner with my husband downstairs in the playroom. The remaining two nights, we have dinner together. We eat, we talk, life goes on. Sometimes, Jason and I will eat dinner in front of the TV while watching Seinfeld after putting the kids to bed. Dinner is not the only time to have a "how was your day" discussion. Sometimes, we'll talk late into the night, but sometimes we just need a good laugh with our dinner instead of a discussion on current events. I'll tell you another dirty little secret. I don't pack my daughter a healthy, nutritious lunch. She eats whatever they serve in public school. Why? Because I hate packing lunches. Simple as that. I am probably starting to scare many people right now. No family cookbook publishing deal is coming my way after this blog post. You have to choose your battles and packing lunches is not one of mine. I've noticed that in the US people are very motivated by it's-good-for-you value of an activity while in European countries whose joie de vivre we admire, people are motivated by pleasure. Even the idea of pleasure strikes fear into the hearts of most conscientious Americans. People imagine that pleasure is all about gobbling up cake for breakfast, potato chips for lunch, and ice-cream for dinner. If we gave in to pleasure wouldn't the world dissolve into hedonistic anarchy? The first question I get when I pull out a celery root in class is "Why would I eat it? What's its nutritional value?" When I explain that I am cooking celery root because it tastes good, some of my students look surprised. The idea of eating vegetables for pleasure seems foreign to many people. I don't cook to optimize my nutrients, to feed my children a healthy diet, to help my local farmer, or to save the environment. Those I serendipitous side effects. I cook because I love it. If chopping onions after a day of work is not your idea of love, there are other options. In France, they have a chain of stores that sells fabulous frozen meals. In Japan, the prepared meals in 7/11 are better than most American home cooked meals both in taste and nutritional value. Of course, we have our Whole Foods take out, but it tastes like crap. Could we make delicious, nutritionally dense take out food in the US? If consumers demanded it, we could. But we care more about the food being low-salt, low-fat, low-carb, and low-fad-of-the-day, than about it tasting good. Before we give up on cooking, let's consider a hypothetical scenario. What if we got rid of the pressure to feed the family and stopped worrying about vitamins and nutrients. What if we just focused on the fun of cooking a particular dish. Heffernan's antipathy to cooking is not unlike the antipathy I felt towards exercising while growing up. My parents go so tired of writing notes to excuse me from gym class that they gave me a carte blanche to write my own notes and sign for them. They didn't feel that physical activity was more than a nuisance either, so we were on the same page. It wasn't until I tried ballroom dancing in college that I realized an enjoyable form of movement existed. One thing led to another and over the course of 15 years, I've become addicted to zumba, running, and even weights. Group setting definitely helps, and so does a good personal trainer. What would have been impossibly boring to do alone, is not so bad with other people. A similar transformation can happen with cooking. Being alone in the kitchen while trying to figure out dinner might be painful, but cooking with a friend might not be so bad. Feeding your children a balanced diet might give you a headache, but learning to make one dish (maybe something simple like frittata) might not be so intimidating. The beautiful thing about cooking the same thing over and over again is that eventually you don't need a recipe. There is nothing worse after a day of work than having to follow directions, but if you stick to just one dish in the beginning, you won't need those food writers to tell you what to do. Nothing gives encouragement as much as success. When I could finally run 2 miles, I wanted to see if I could run 3. Turns out I could. You might be cooking that frittata for a month, but don't be surprised if by the end of the year, you'll be able to roast a chicken, cook a fish fillet, and make a salad. When you get rid of pressure and guilt, you just might discover your inner cook. I appreciate these posts. Thank you, Helen.